SlideRabbit at the 2015 Presentation Summit! The time has come! Get excited and get ready to gain some new presentation knowledge! If you were intrigued by our highlights of the 2014 Presentation Summit, now’s your chance to get on board for this year. The keynote speaker has been announced and, hold on to your hats, it’s Guy Kawasaki! Guy is famous for his groundbreaking marketing approach in the early days of the Macintosh at Apple and now travels the world teaching “evangelist marketing.” No big deal or anything. In case that’s not enough to sway you, SlideRabbit will also be presenting at the Presentation Summit this year! We are so excited to jump in and offer tips on improving your presentations with design basics. We will be showcasing before & after results of basic design & communication techniques. Check out our previous before & after posts on topics like the rule of thirds, removing text, data display, informational design, and layout consistency for some ideas of what we’ll be covering. 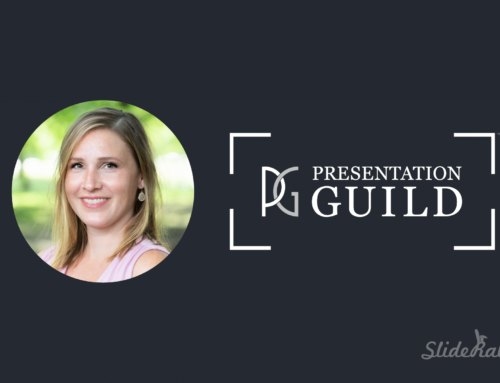 Whether you’re interested in honing your presentation skills, design aesthetic or presentation software technical know-how, consider joining us in New Orleans in September for the 2015 Presentation Summit. We’re still writing our curriculum, so if you have any design conundrums or questions, leave them in the comments.